Department of Chemical Engineering, Faculty of Industrial. Department of Electrical Engineering, Faculty of Industrial. 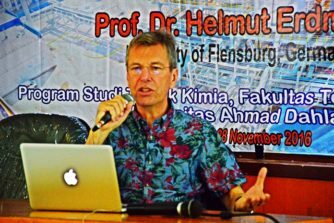 Department of Chemical Engineering, Faculty of Industrial Technology, Universitas Ahmad Dahlan (FTI UAD) was visited Prof. Dr. Helmut Erdmann (Flensburg University of Applied Sciences Germany). 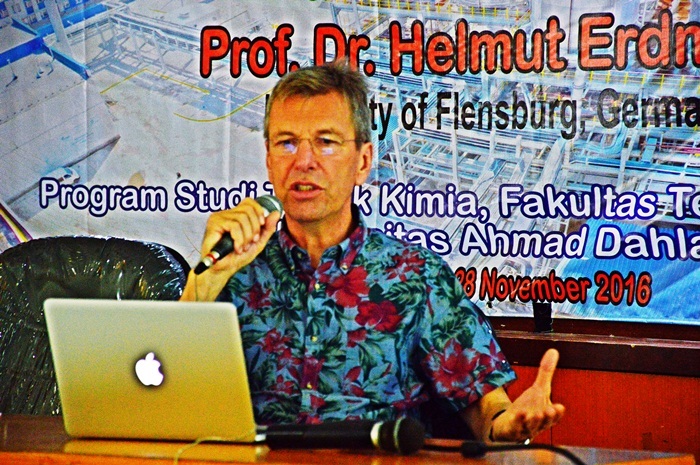 It was the second time Prof. Dr. Helmut Erdmann visited UAD. Prof. Dr. Helmut Erdmann was welcomed by Vice Rector IV of UAD, Prof..
Department of Electrical Engineering, Faculty of Industrial Technology, Universitas Ahmad Dahlan had conducted a general lecture on Wednesday 7th of December, 2016. The lecture was delivered by Prof. Dr. Jafri Bin Din From Universiti Teknologi Malaysia. 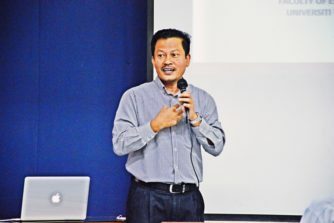 Universiti Teknologi Malaysia (UTM) is one of international partners of Faculty of Industrial.